Ricardo Garcia wasn't looking for a new job. He literally thought it was a joke when he heard that someone had put his name forward to run the nation's largest and oldest public defender's office. Then he started thinking about what he might have to offer, beginning with his deep desire to bring greater dignity and respect to a profession he loves. Lucky for Los Angeles he did, because this fall Garcia will take the helm of the LA County Public Defender's Office, leading a team of 1,200 that includes 750 attorneys. Garcia (Cowell '91, politics and Latin American studies) is taking on this monumental job with his eyes wide open. He is intimately familiar with the paradox of the public defender's role: The mission is honorable—they give meaning to the Constitutional guarantee of legal representation regardless of ability to pay—yet as a profession, public defenders are ridiculed and sometimes scorned for doing their job, particularly when it means representing the indigent accused in high-profile, violent crimes. "We're the joke of every crime show: 'You got a public defender? Now you'd better hire a real attorney!'" lamented Garcia, who spent more than two decades as a public defender in San Diego County, most recently representing members of gangs, Mexican drug cartels, and other clients accused of crimes that could bring the death penalty. "A prosecutor asked me once, 'How do you defend people you know are guilty?' "
As insulting as his question was, that prosecutor was simply repeating what Garcia and every public defender has heard—and what many people wonder about. Garcia's response speaks to the humanity he brings to his work. "A human being is not their worst moments in their life," he said. "They are so much more than that. My clients are multidimensional individuals. The criminal justice system reduces them to their worst moments, but I get to know my clients as human beings, and it's easier to see their humanity." Garcia hastens to add that he believes in accountability, but the presumption of innocence comes first. That pillar of democracy is being eroded today, with help from media coverage that tends to present the accused in the worst possible light, he said. "As a society, we have to live and breathe the presumption of innocence, and I don't think that's what we do," he said. Recounting the insulting question posed by that prosecutor, Garcia recalls turning the question around and asking him, "How do you prosecute people you know are innocent?" Pausing, he explains: "I don't want to believe anyone would knowingly do that, but we all know that innocent people have been convicted, and some have been executed." That desire to set the record straight is part of what fuels Garcia as he anticipates his new job. He is eager to cultivate professional pride among his colleagues and to build public appreciation for the vital role played by public defenders. "I realized I have contributions I want to make as a lawyer and as a leader," he said of the new job. "I knew I wanted to give back." The path to the courtroom wasn't straightforward for Garcia. In the only glimpse of his future that was evident during college, Garcia interned in the Santa Cruz County district attorney's office. In fact, he was inside Gottschalk's department store on Pacific Avenue, shopping for khaki pants and dress shirts for his internship, when the Loma Prieta earthquake struck on Oct. 17, 1989. "I had some wonderful—in the sense of maturing—and terrifying experiences that day," he said. But Garcia almost didn't make it to college. During high school, he planned to join the Marine Corps after graduation. Looking back now, Garcia detects what he calls "undercurrents of racism" in some of his classmates’ advice. "They said I couldn't go to college and made references to affirmative action, and I bought into that," he said. "It was a guidance counselor at Santa Monica High School who said, 'You have some skills. You might consider university as another option.'" When Garcia enrolled at UC Santa Cruz, he became the first in his family to go to college. He embraced everything about the experience. "I fell in love with the school," he said. "It changed me as a person. I fell in love with academics and learning." He also bought his first pair of Birkenstocks—and has owned a pair ever since. "I was a Latino city boy who'd grown up in the LA area and Mexico City, but I got into tie dye. I let my hair grow," said Garcia. "Santa Cruz was so important to me as a young man. It was the perfect place at the perfect moment in time for my development." He was inspired by Literature Professor Roberto Crespi ("He helped me learn to blow up my writing and challenge conventional norms"), as well as two professors of politics: Dan Wirls ("He was so young and so accomplished!") and Sonia Alvarez ("She was so tough on me. She taught me reading skills that transformed my ability to take on material"). Garcia was later diagnosed with dyslexia but credits Alvarez and a close friend with providing timely support. Garcia excelled academically, and he became more socially conscious, learning about the politics and historical roots of racism. But what he most values is the ability he acquired to think freely. On a campus known for progressive attitudes, Garcia challenged everything, including the conventional norm of radical politics. "I learned to think critically about all ideas—progressive, conservative," he said. "I learned not to judge ideas, or people or their thinking, but to analyze them objectively. My experience at UCSC was the starting point academically that allowed me to be strong enough, brave enough—and maybe foolhardy enough—to do this job I'm about to start." "I really didn't like law school"
After graduating in 1991, Garcia contemplated graduate school, but his grandmother wanted him to go to law school. Torn, he opted to please his grandmother, figuring he could always go back to academia. Garcia took a year off, studying for the LSAT and working as a short-order chef and health-club trainer to earn enough money to do a little traveling. He applied only to the best schools and chose Boalt Hall, now Berkeley Law. "I really didn't like law school," he said. "I thought it would be like graduate school--the intellectual study of the law, studying and writing about legal thought and cultural norms. I almost left after the first year." Contemplating life after graduation, Garcia revisited the idea of graduate school, but an interview with the San Diego Public Defender's office proved pivotal: He got the job and discovered his calling. "I enjoy my clients and their stories, and I feel a kinship to many of them," he said. "I feel like I am fighting the good fight, standing up for justice." The toughest case Ricardo Garcia handled was career-defining—and ultimately life-changing, as well. Garcia spent 15 months defending Jorge Rojas, who was already serving a life sentence when he was brought to trial as the ringleader of a series of kidnappings and murders that terrorized San Diego between 2004 and 2007. If convicted of masterminding the slayings, Rojas could face the death penalty. "Everybody said it was unwinnable," said Garcia. "It seemed an impossible task." Garcia refused to accept that. He immersed himself in the details of nine separate homicide investigations and waded through hundreds of thousands of pages of material. Ultimately, Garcia and his team prevailed. The longest trial in state history ended with a victory: They saved Rojas’ life. But mid-way through the trial, Garcia saw the toll it was taking on his own life. "I was in court every day, having dinner with colleagues and working every night, working eight hours on Saturday and Sunday," he recalled. One day he saw his son "act out" at a party and didn't recognize his own child's behavior. "I'd been too exhausted to interact, and I'd become detached. I decided I couldn't let the job kill me or destroy my life." Garcia made some changes: He made it a point to get home in time to put his two young boys to bed. He set aside one weekend day for family time, and had a "date night" every Tuesday with his wife—even if it meant just spending time together at home without the distractions of phones and screens. "That trial changed my view of what it means to be a public defender," he said. "In public defense, you're not always encouraged to live a balanced life. It's like, whoever works the longest wins—but really, they lose." Maintaining balance in his life during that marathon of a trial also taught Garcia that he has the grit to accomplish anything he sets out to do—including taking on this new job. Garcia's own love of learning has spilled over into a love of teaching. 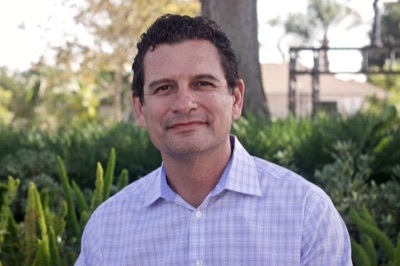 In addition to his work in the courtroom, Garcia is an adjunct professor at California Western School of Law, where he teaches criminal procedure and motions to Latin American lawyers. He is also a guest lecturer for the school's Proyecto Acceso, a program that trains lawyers, judges, and prosecutors in Mexico and South America, as they transform their criminal justice systems. Garcia is a regular contributor to the California Public Defenders Association. He is also a faculty member at the Schechmeister Death Penalty College at Santa Clara University. As a student, an educator, and a public defender, Garcia is drawn to ideals. With more than two decades of experience in the criminal justice system, he is keenly frustrated by the racial injustice that permeates it and the impact racial disparity has, particularly on men of color. "It's pervasive, institutionalized, and self-perpetuating to a degree," he said. "It's such a part of our criminal justice system's DNA, even among the people who see it and want to foster change, which is most of us. It's in the courtrooms, in the way police police—I'm not saying it's always intentional, I don't believe that—it's in the way we prosecute, and the way judges judge cases. It doesn't matter if a judge is Latino, black, or a woman. At times, even defense lawyers take it into their DNA, because the majority of their clients are people of color, and that has an unconscious effect. I don't know what the solution is. You fight it, yelling until your throat is dry." If he could, Garcia would abolish capital punishment: "I don't see it as a deterrent, and it speaks poorly of us as a society." Finally, Garcia embraces what he calls a "holistic approach to client representation" that looks at the whole person. "My clients are human beings who fundamentally need resources and access to resources," he said. "They need education, job training, housing, food, drug treatment programs, parenting classes. It's giving people dignity in their day to day lives, so they're no longer just looked at as a number going through the criminal justice system." "Human beings are so complex and layered. We're beautiful in that complexity," he said. "When people are broken, we need to help them get fixed. That's true in the criminal justice system, too." As he anticipates his new job, Garcia looks forward to strengthening a culture that puts the client's needs first, followed by all those who have direct contact with clients: attorneys, investigators, social workers, mental health clinicians, and drug counselors. "They are trying to give the best services, and they see it. They feel it. They suffer the trauma," he said. "I respect the people who do this work with energy and love, and they deserve a boss who understands and rewards that." Garcia will step into his new leadership role in mid-October.